Modern Kannada Shows striking similarities to Modern Turkish (Altaic Languages). Many words are common to the two languages. Another Common feature is Agglutination with several suffixes common. 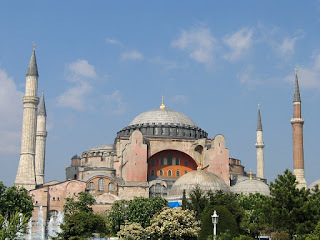 Kannada and Turkish Language Similarities Apart from Grammatical similarities of Agglutination , both the languages share lot of common words both old and modern. A small list of words is given below. Typical examples: Istanbulun (Istanbul‘s), Bangalorina (Bangalore‘s); Ankara‘da (in Ankar a), Kalkattada (of Calcutta); the accusative and dative suffixes are also similar and involve vo wel ending s, but with an intervening ”k‘ or ”g‘ in the Kannada case. One also notes that even when their meanings are not identical, the words may belong to similar classes (e.g)hangi-henge‘ are both interrogatives It is also interesting to note that in many cases, Kannada possesses words of equivalent meaning but deriving from different sources; in these cases one o f the words apparently possesses a specific or occasional sense. Thus, ”give‘ in normal parlance is ”kodu‘,clearly of Dravidian lineage; however, the apparently Altaic ”biru‘ specifically refers to the offering of sesame during the harvest festival. Similarly, ”cut‘ is normally conveyed by ”kattharisu‘, clearly of Indo-European origin; however, the apparently Altaic ”bolusu‘ specifically means ” shave‘. It appears that synonyms of differing origins were accommodated in this manner as the three different linguistic streams merged in Kannada. Some of these words are found in other Dravidian languges also, but most words seems to be shared between only kannada and Turkish. Many times the closest dravidian word is kannada. (e.g)Gobra and gubre for Fertiliser , sira and sara for chain, Tum and Tumba for full, Bagir and Bayyi for shout or scold etc prove extensive interaction in the past. The Hittites were the first known people of Indian origin to colonise todays Turkey. They suddenly appeared around 2000BC. They were the first to use Iron in West Asia and Europe and they have superior Iron armour and weapons. 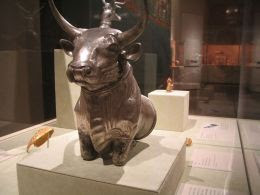 They ruled from 1900 – 1000BC. Their Country is called Land of Hatti. 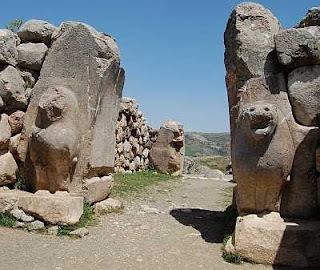 Their capital is Hatti or Hattusa and they called themselves Nesite (Kanesili) meaning they are from Nesa (Kanesh city). Their First king was and then Pithana from kussara. His son were Piyusti, Anitta , was the first give compose text. 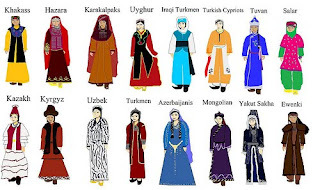 The Other famous kings include Hattusili. Hittites regained their power after a lull with kings like Tudhaliya ,Suppiluliuma , mursili , Arnuwanda, Telepinu, Tahurwaili, Hantili, Zidanta,Ammuna, Huzziya etc. Bible often refers to Hittites as son of Canaan. Pharaoh Ramses II often referred to the Hittites as having long hair. One cannot neglect the similar words to Kannada like Hatti (settlement or village) , Kanes(similar to kannada), Pithana(paithana) and many kings names are sounding similar to kannada names. 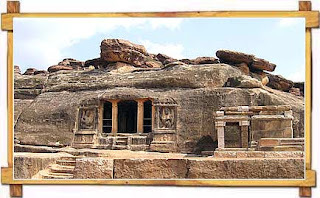 The Hittites were experts in iron same as kannadigas and they Hatti mines are world famous and of considerable antquity. 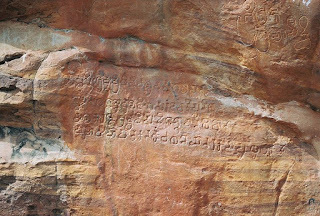 Are Hittites Kannadigas? Before first Century AD Monsoon winds used by handful of Indian and Arabs sailors and their use was unknown to the European (Roman and Greek) and Egyptian traders. But when the Romans became aware of the Monsoon winds and opening of Red sea led to huge trade with Romans , many of the southern ports came to be established and sea trade for sometime replaced land trade routes like silk road. 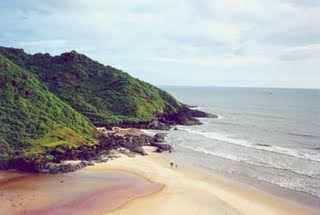 Karnata coast seems to be the most studied coastline at that time. We find The karnataka coast , people, trade items mentioned frequently in foreign literature, such as the Periplus Maris Erythraei. The area was noted for its severe tidal currents, turbulent waves, and rocky sea-beds. 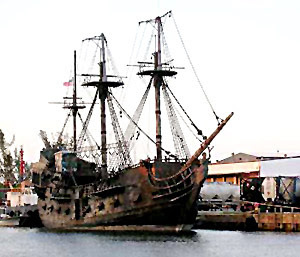 Although many ships have attempted to sail outside it in order to prevent shipwrecks, many ships were still drawn inside . As a result of the difficulties, the entrance and departure of ships were dangerous for those who possessed little sea experience. The anchors of the ship would be caught by the waves and quickly cut off, which overturned the ship and ultimately cause a wreck. Since one must sail against the narrow gulfs of western India, special large boats were used and ship development was demanded. Near the Coastal lines, large ships called trappaga and cotymba helped guide foreign vessels safely to the harbor. These ships were capable of relatively long coastal cruises, and several seals have depicted this type of ship. In each seal, parallel bands were suggested to represent the beams of the ship. In the center of the vessel is a single mast with a tripod base. Apart from the recent explorations, close trade relations as well as the development of ship building were supported by the discovery of several Roman coins. On these coins were depictions of two strongly constructed masted ships. Thus, these depictions of Indian ships, originating from both coins and literature (Pliny and Pluriplus), indicate India’s prowess in seafaring due to the increase in Indo-Roman commerce. In addition, the silver Roman coins discovered in karnataka primarily come from the first, second, and fifth centuries. These Roman coins also suggest that India possessed a stable sea borne trade with Rome during first and second century AD. 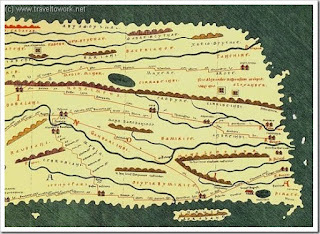 Land routes, during the time of Augustus, were also used for karnataka embassies to reach Rome. 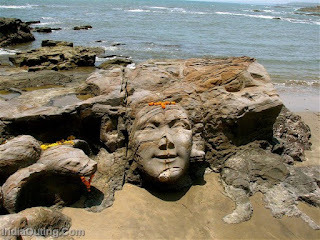 The discoveries found on karnatak coast strongly indicate that there were strong karnata-Roman trade relations during the first two centuries of the Christian era. The third century A.D, however, was the demise of the Indo-Roman trade. The sea-route between Rome and India was shut down, and as a result, the trading reverted back to the time prior to Roman expansion and exploration that is through landroute(Dakshinapatha). Tippu sultan of Mysore who was stopping the British advances in India assessed trade and technology as the means to take on British. He resumed direct trade links with Ottaman empire. Tipu was unhappy with the French support he had received. He then sent a delegation to Versailles as well to the Ottoman sultan in Constantinople. The delegation received a warm welcome in France but little military help. Tipu’s territories had included the Malabar Coast from where he was able to launch successful trade with Arabia and his kingdom became prosperous. He was also interested in agriculture and sought experimental seeds and new crops from all over Asia and France. 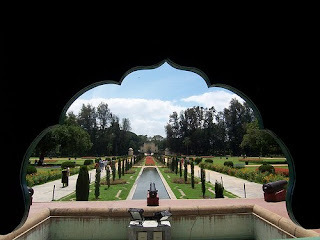 Srirangapatnam was a converted to an admirable botanical garden and he introduced silkworm cultivation to Mysore (for which the region is well known even today). Tipu’s rule became the envy of the neighboring states and this did not bode well for him in the long run. Educated, possessed with a curious mind and with the ability to rule his subjects well he gained the nickname ‘Tiger of Mysore’. With the Gulf region firmly under the control of the British, Tipu’s trade relations with the area suffered. He had to soon take some bold steps to revive the commercial relations with the area lest it undermine his position at home. Tipu still perceived the Ottoman empire as strong and hence thought of seeking assistance. As early as 1784 Tipu had sent an exploratory mission to the Sublime Porte to find out whether an embassy there would be productive. When he was told about the efficacy of having a mission at the Port, Tipu decided to sent a large mission consisting of 900 people on 17 November 1785. The leader of the delegation was Ghulam Ali Khan and included Nurulla Khan, Lutf Ali Khan, Jafar Khan and others. The delegation after a long and difficult sea/land journey via Muscat, Bushire, Basra, Baghdad and other places reached Constantinople on 25 September 1787. It was only on 5 November 1787 the Ottoman Sultan Salim-III received Tipu’s emissaries with honour and decorated them. The Sultan accorded permission to Tipu to assume the title of an independent monarch and the right to strike coins and to have the khutba read in his name. The envoys were also given for Tipu friendly letters, khillats, a sword and a shield studded with precious stones by the caliph and his grand wazir. With this, one of the major objectives of the mission had been accomplished. 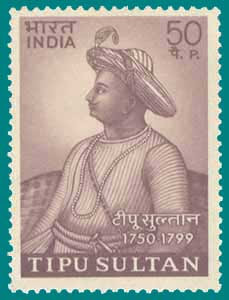 Tipu also sought military assistance from the caliph to put an end to the British menace in India. In order to impress upon the caliph the gravity of the situation and the urgency of his demand, Tipu sought to arouse the religious sentiments of the caliph by highlighting to him the subversive and deceitful manner in which the British had become overlords of large parts of territories which actually belonged to the Mughals. More significantly in order to make sure his mission would succeed, Tipu also impressed upon the Ottoman Sultan that the British were humiliating the Muslims in India by forcibly converting them to Christianity and changing the mosques to churches. The Ottoman Sultan found it easy to recognise Tipu as an independent king but found his request for military assistance hard to entertain, because he himself was preoccupied with defending his possessions under challenge from the Russians, Austrians and others. He politely but firmly turned down Tipu’s request for a body of Turkish mercenaries to be sent to Mysore to fight against the British. Tipu wanted the Ottoman Sultan to send him a body of troops whose expenses would be borne by him and they would be sent back to Porte at his expense whenever they would be required by the caliph. In the end, the sultan declined to provide any tangible military help to Tipu. It must be repeated that the Ottoman Sultan facing outside threats could not expect help from France due to the turmoil there leading towards revolution. In fact, Britain was busy mediating peace between Turkey and her enemies, Russia and Austria. The Ottoman Sultan, therefore, was in no mood to help Tipu and lose British friendship. Lastly, Tipu aware of the rich potential of his kingdom especially in the field of agriculture and other items which were in great demand, sought to establish state to state trade ties. The lucrative trade had made Mysore the richest and most prosperous part in the country which the British and the French sought to dominate and control. Tipu correctly analysed the reasons for the political decline of the Indians, the most important being their indifference to trade, commerce and industry. The Europeans though extensive monopoly of trade had elbowed the Indians out of this field and also controlled and dominated the Indian states. The Wakils want to obtain Firmans to establish factories in Turkish dominions for selling the productions of his kingdom. We think this is a circumstance very material for he Honourable Court of Directors to be acquainted with, as we apprehend it precludes all hopes of your servants at Tellicherry being able to provide pepper for your homeward ships? In early 1799 Caliph Salim III addressed a letter to Tipu describing the French invasion of Egypt and Their plan to conquer Arabia, divide it to republics and extirpate Islam. He further wrote that the French also wanted to conquer India and deprive its people of their religion, life and property. He advised Tipu to refrain from any hostile activities against the English at French instigation, and offered to adjust satisfactorily any cause of complaint that he might have against them. Tipu replied to the caliph professing devotion to him and agreeing that as the French were on inimical relations with the head of the faithful, all Muslims should renounce friendship with them. Later on the British made full use of the passages from the caliph’s manifesto and letter to Tipu. His eagarness to establish links with ottoman empire lead to serious consequences in mysore. In order to Impress Ottoman emperor Tippu approached then Mughal king to secure recommendation. And Mughal king took his pound of Flesh. He asked Tippu to declare persian as the State Language and Islam as State Religion . This led to lot of oposition and agitation and Tippu lost much of popularity by imposing a foreign religion and Language. Further the Mighty Mysore Army was diluted with introduction of rogue muslim mercenaries as commanders whose only aim to plunder people wealth and their conquest consists of destroying temples and converting people enmass to islam by threat and whatever means. The mercenary commanders have their own agenda and cared nothing about welfare of people. Even the Sringeri mutt was not spared. Eventhough Tippu said to have sent a apology letter to mutt, the popularity of Tippu was fast declining. When Tippu sought a platoon from Turkey , it showed the extend of his local popularity decline in Mysore. 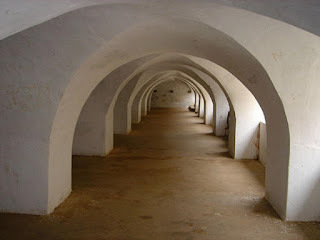 The once Mighty mysore army has become such a sorry state of affairs that in the end could not even defend the most secure Fort, Srirangapatna. Many local felt that British rule will be less tyranical to Tippu rule.